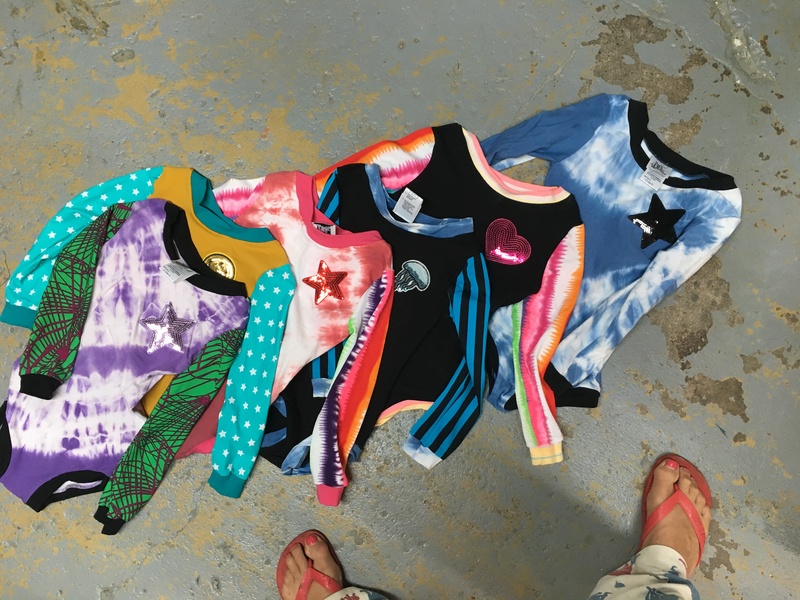 These custom, versatile leotards are the craze chez les little ladies. They are comfortable, easy to wear, funky and breathable. Designs may vary although patch and colour scheme stay the same. Your little girls will love these easy to wear little gym suits. Body fabric is cotton/lycra mixed with colourful, recycled polyester/lycra. Medusa suit is decorated with a medusa patch. Washing instructions are cold wash, hang to dry. 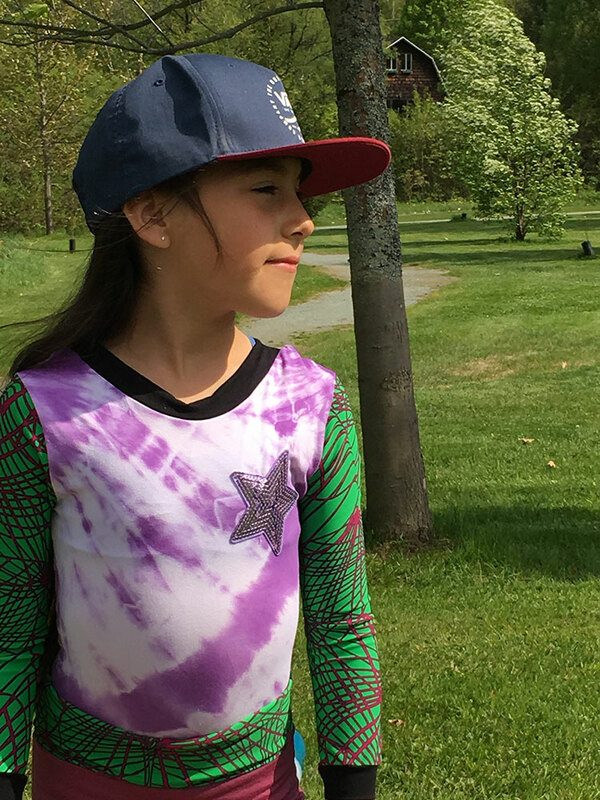 When little Mia expressed her amazon gymnastic suit was uncomfortable and did not breath, Gen immediately deconstructed it and made her a fresh new cotton/ lycra, funky, tie-dye one. These became so popular with the little girls and fun to make they became an 88 Queen st. item.